We are a nationwide engineering and consulting firm which provides arc flash hazard analysis along with associated safety training. We understand and help you comply with all regulatory agencies. 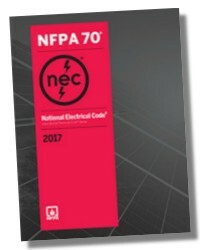 OSHA, NEC, CORP OF ENGINEERS, NFPA 70E just to mention a few. We hold an maintain Electrical contracting license, also engineers, consultants, thermographers etc. Give us a call and we can discuss how we may be able to help you. If you work in a facility that is not compliant give them our name or we can partner with your firm to help them.